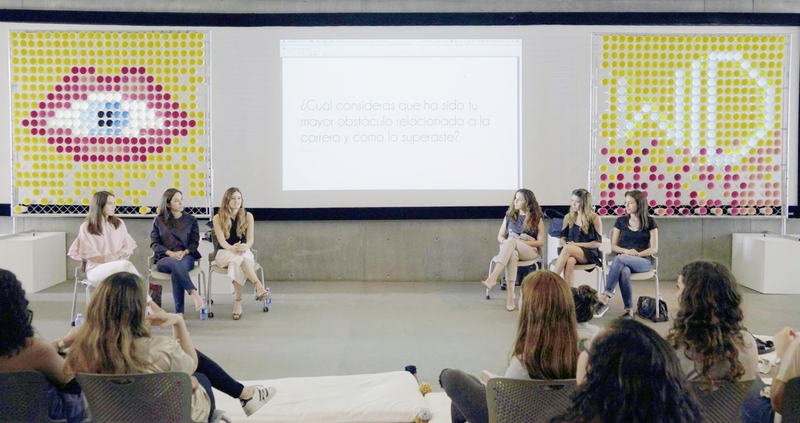 On 28 March 2017, the University of Monterrey hosted an IFI WID 2017 celebration that explored the relationship between people and design through talks and activities that sparked multi-generational conversations on the power of creativity. 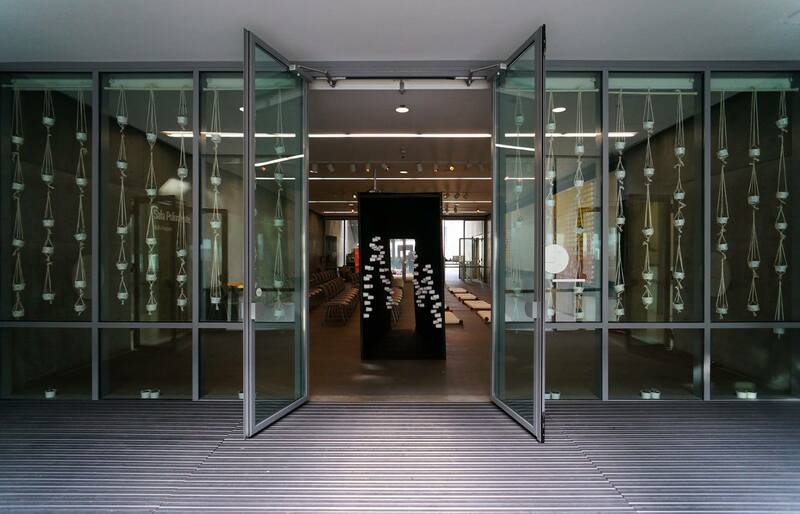 This well-rounded celebration explored critical contemporary issues to interior architecture/design and the global community, including sustainability, communication, education and the preservation of culture and tradition. In addition to six design proposals submitted by Interior Design students and an inaugural lecture from Program Director Mariela González Gómez, three conferences were held on the relevance of reading to design. The speakers were professors Amelia Martinez, Patricio Ortiz and a member of the Fondo de Cultura bookstore, which supplied a pop-up bookshop for the event! There was also a presentation by studio Chocolate Molinillo, which specializes in interior design projects for children. To close, a panel of interior design alumni debated the main challenges of the discipline and discussed their experience as newly graduated professionals. A number of interactive activities also took place, including young and old and exploring peoples relationship to space in uniquely different ways. This collaborative art installation that translated into a universal message for attendees. 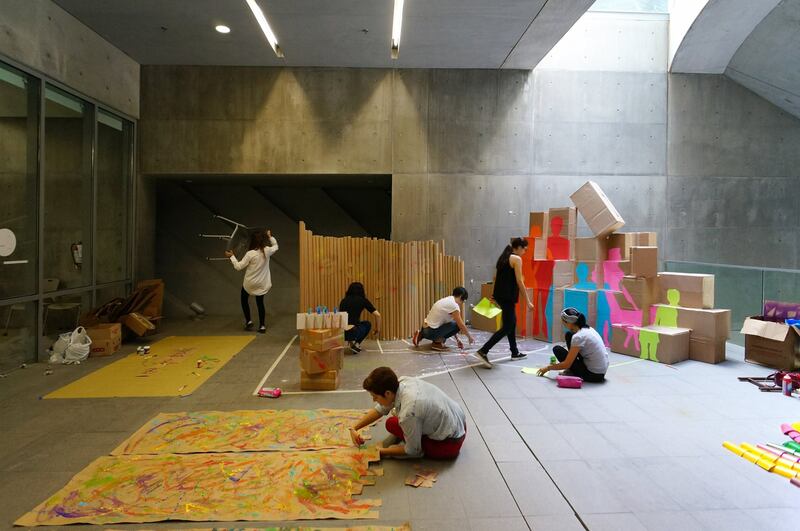 Using carton boxes and tubes collected as garbage from retail venues, students created a set of found objects that served as the base for a mural. Partcipants, which included people as yound as kindergarten, shot paint onto the constructed canvas to form the word ‘equity.’ This multigenerational expression of creativity incorporated young and old, using the power of creativity to transcend differences of expression based on age or generation. Participants undertook a project to examine communication patterns between generations. To explore this, students constructed a complex interconnection of strings and paper cups. The cups were altered in size based on the age group they represented, while the strings showed both diﬃculties in generational communication as well as the points of connection. 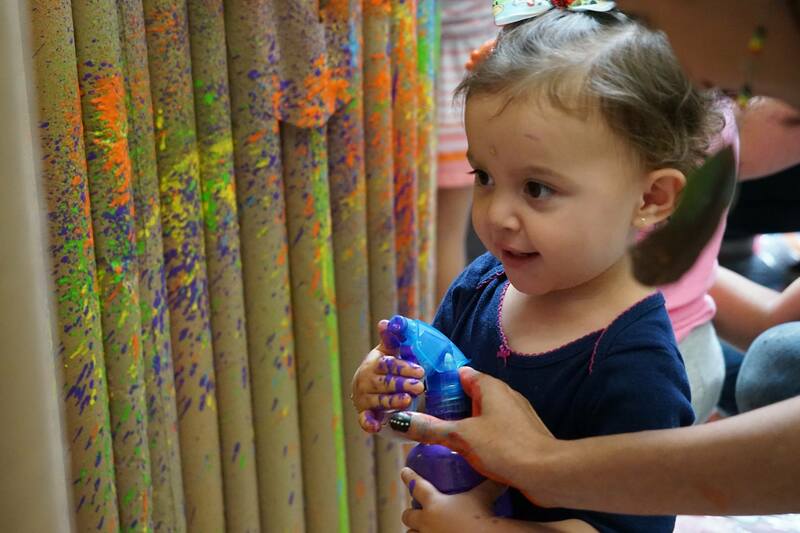 Students created interactive backgrounds using plastic cups and paint which provided a visible backdrop for the event. The emphasis of the design was based on audiovisual messages and resulted in a giant eye and mouth in keeping with the exploration of communication between generations. Through the use of projectors, the video mapping lit up certain cups, which simulated giant pixels and generated an animated screen. 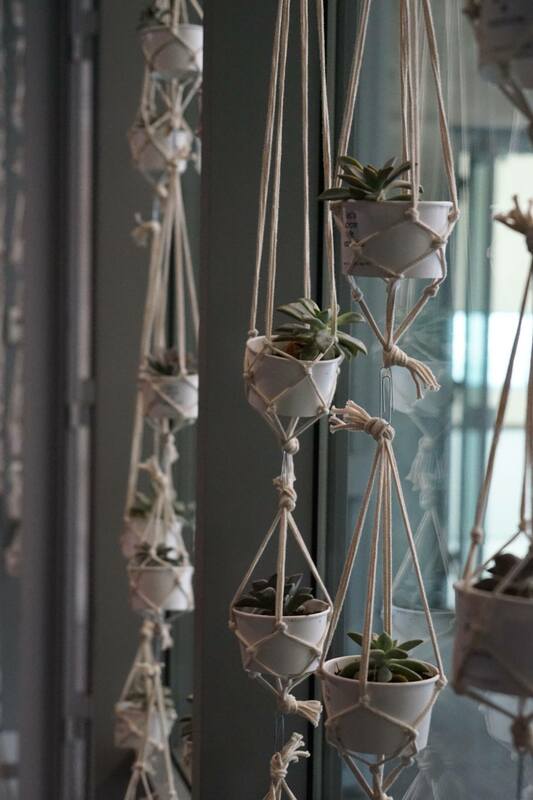 Raising awareness for sustainability and climate change, this activity used macramé and succulent plants to communicate the importance of preserving the planet to the next generation of designers. 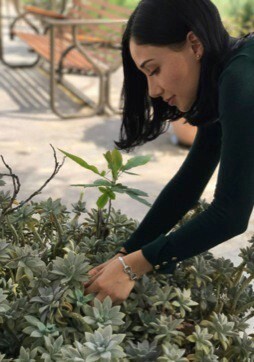 Plants were given to attendees as a reminder of nature’s inheritance and the need to protect the natural world through sustainable designs and good practices. This group worked on a piece created with recycled materials as a reminder of the necessity to build responsibly. 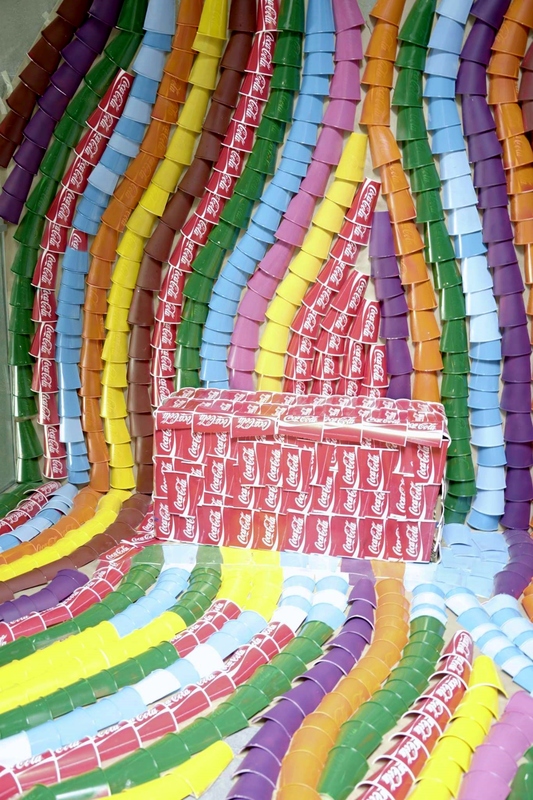 Through the donation of discarded Coca Cola cups, the students created a visually attractive mural in order to provide the material with a second use. Crafts are a way in which tradition is passed on through members of a community. 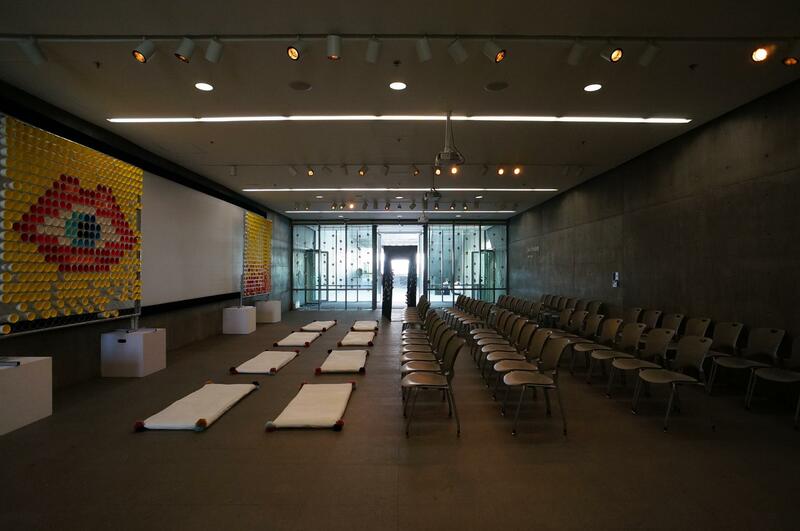 In honor of this, students worked on crafting traditional Mexican shapes and patterns onto chairs and designing mats that would reﬂect cultural tradition and could be used by attendees during the event.